Our Plankbridge shepherd’s hut provides an ideal romantic getaway for couples looking to escape to the East Sussex countryside that don’t quite do camping! 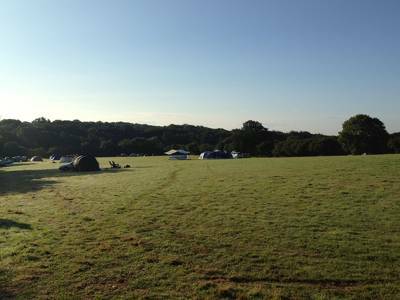 Spacious camping with no set pitches, in beautiful countryside on a peaceful Sussex farm - the perfect way to enjoy the great outdoors. It’s a storybook image: the farmer walking the yard, bucket in hand, tailed by a pair of chattering geese. At Hale Farm in East Sussex this scene has been given a curious twist. Ruth rises early, and heads out to feed the animals one by one – the gorgeous Sandy and Black pigs, Tilly the friendly pony and a couple of playful donkeys – but instead of geese, she’s tailed by chattering children, a herd that’s usually five or six strong. 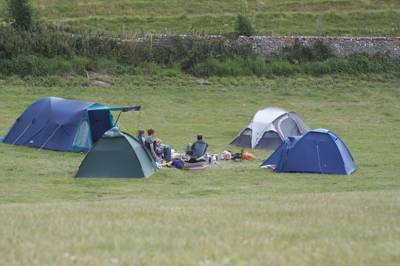 The picture seems to sum up this family-run site; Famous Five-esque in its attitude to camping. If you thought the days of back-to-basics, pitch where you like sites were over, then think again. 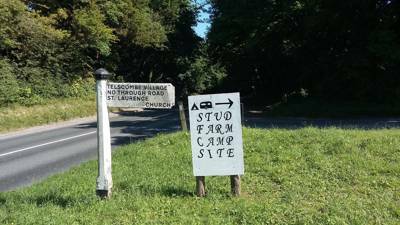 Perfectly pinned between the South Downs National Park and Kent’s High Weald, this 56-acre working farm offers camping as it used to be in a large, open meadow, where thin threads of campfire smoke drift lazily into the sky. There’s a standing tap for water, showers, toilets and a couple of washing up sinks but otherwise don’t expect to find a playground or onsite WiFi. That’s not really what they’re all about. The meadow itself is surrounded by mature hedges and trees, with grass levels managed throughout the year by a flock of Ryeland sheep who shift to a neighbouring field during the summer. Space is certainly not an issue. 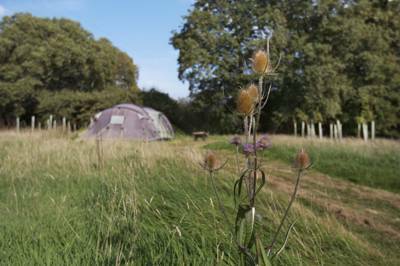 The farm’s self-imposed limit of around 20 pitches keeps numbers down, while the tents-only rule gives the place a thoroughly traditional feel. Kids roam, safe from roads and vehicles, and adults convene around their evening BBQ (you can buy the farm’s own sausages on site). Luxury lovers can find one exception to the basic-camping rule, a refurbished shepherd’s hut of the kind often found on the Sussex hills during the 19th century. Inside, it features a full-size double bed and a fitted kitchenette, plus a toasty log burner that warms its wooden interior into a couples’ cocoon of loveliness. 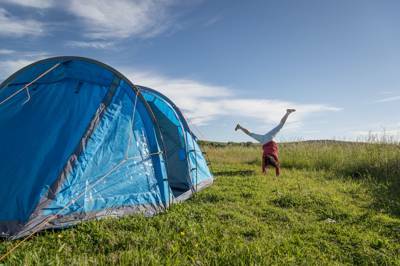 It has a real air of romance about it and offers homely comforts to those leaving the tent at home, yet still has enough history and tradition to feel apt on such a rustic campsite. Aside from losing the kids to the farmyard – prepare yourself for days of hearing their favourite animal stories – there is plenty nearby to keep you busy. 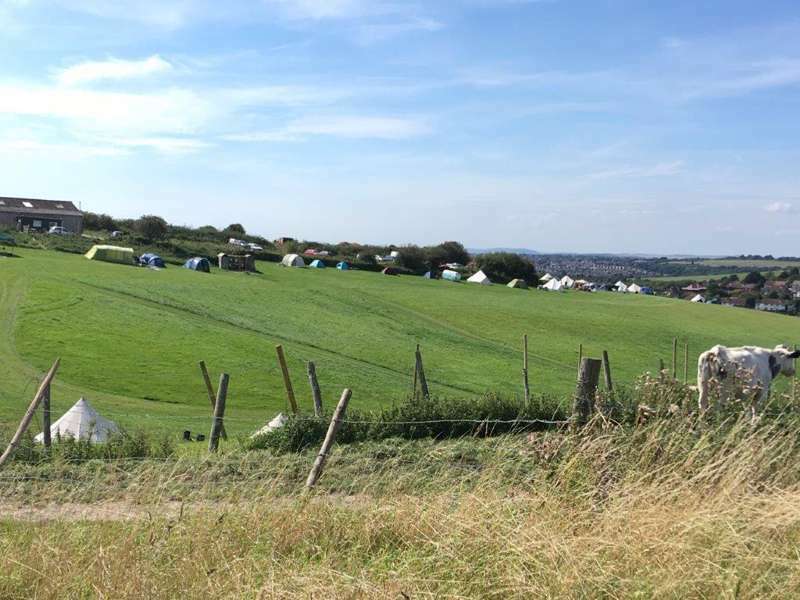 A footpath alongside the site connects you quickly to The Weald Way, a scenic long distance route that leads you further through the Cuckmere valley, or you can walk the 10 minutes into the local village of Chiddingly. Simply head for the pointy church spire and the village eventually comes into view, blessed with a convenient local shop and an even more convenient pair of pubs. Re-hydrate in the beer garden and ponder the wonders of Persil. If the kids don’t end their weekend here covered in grass stains then they’re doing something wrong! 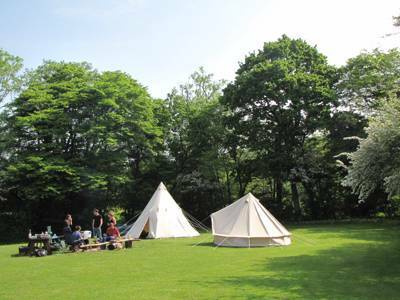 Hale Farm is a working, family run farm situated in 56 acres of peaceful, rural Sussex countryside. 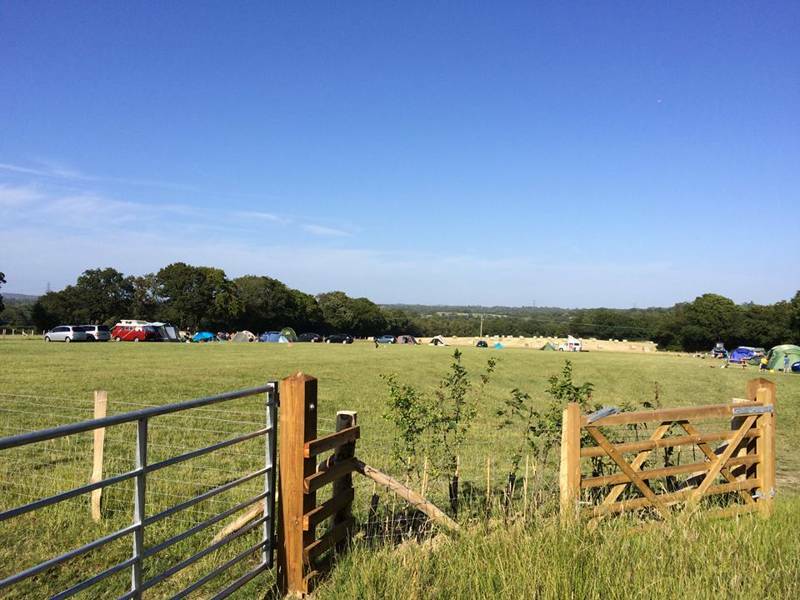 We offer spacious camping in a beautiful location and the opportunity to meet our farm residents. 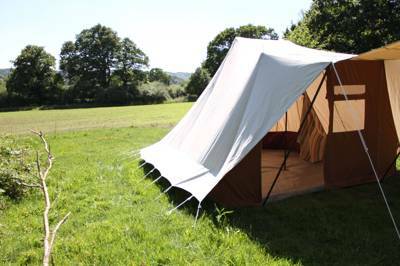 If you would like to camp in an open field, under the stars, with a small campfire outside your tent, where you can sit and watch the night sky on a clear night, then this is the camping site for you. 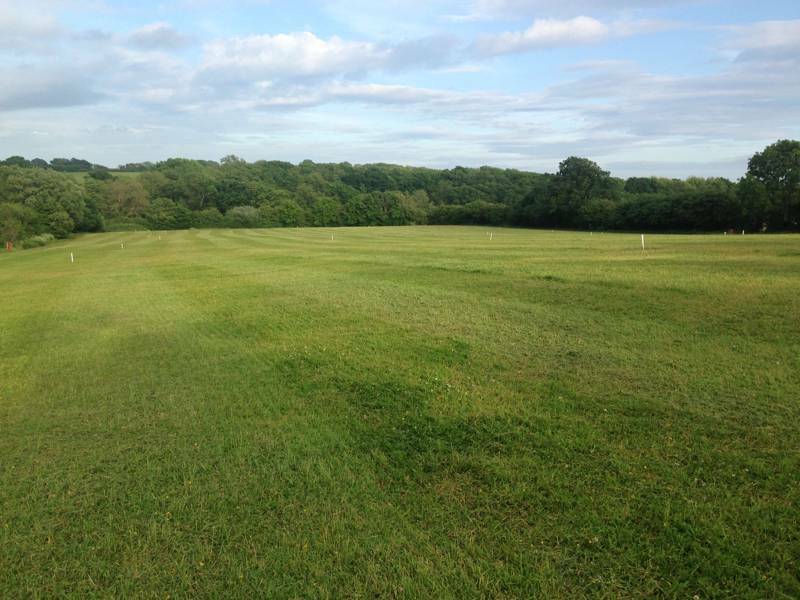 For latest availability and best prices for Hale Farm, please use the Date Search above. 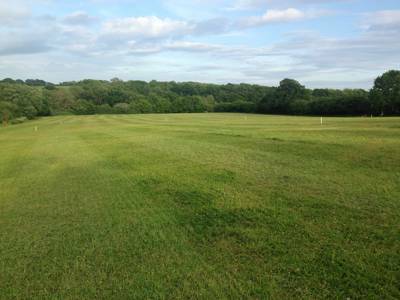 Unmarked grass pitches, usually capped at around 20, and a fully-furnished shepherds hut. Compost toilets, gas-powered hot showers, undercover washing area and a standing pipe providing fresh, mains drinking water. Campfires are welcome each pitch has its own fire pit. Logs and fire starter packs (kindling, matches, firelighters & newspaper) are available to purchase. Raised campfires are also allowed (they have bricks you can borrow if necessary). 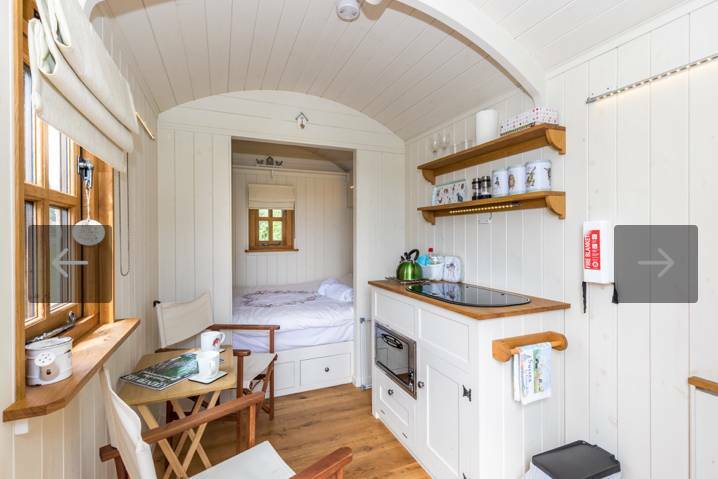 The shepherd's hut features a full-sized double bed (and bedding), a wood-burning stove and a micro kitchen with a small sink, smev oven, crockery and utensils. The site is also shared with animals, which can be discovered with a short wander around the farm; flocks Lleyn sheep, chickens, geese and ducks, rare breed pigs, pygmy goats, donkeys and a ponies. Nature lovers will be in their element here. Head north east for walks on the High Weald (01424 723011) or south to the South Downs (01730 814810) – though the footpaths directly from the site are not to be sniffed at! Arlington Reservoir is about a 10 minute drive, a good spot for bird watching, while a few hundred metres further is Drusillas Park (01323 874100), a small 10 acres zoo mainly aimed at children. National Trust owned Batemans (01435 882302), former home of Rudyard Kipling, is around 15 minutes in the car, as is Alfriston Clergy House, the very first property the Trust bought back in 1896, before becoming the cherished charity it is today. 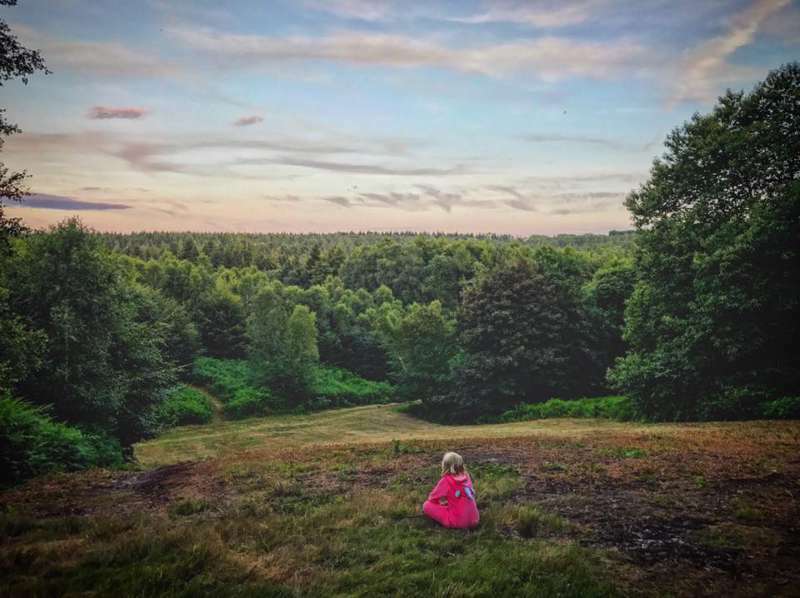 There's plenty more besides: Knock Hatch Adventure Park (01323 442051), Ashdown Llama Park (01825 713698), Herstmonceux Castle (01323 834457), the Observatory Science Centre (01323 832731), Sheffield Park and Lewes Castle (01273 486290) – all of which are within half and hour. Take your pick! Hale Farm's free range eggs, sausages and bacon are available to buy onsite. Any other produce and essentials and an excellent cafe be found at the local village shop, a 10-minute walk away. There are also two excellent pubs in the village, The Six Bells and The Gun. Camping: April 1st to October 31st. Shepherds Hut: All year round. 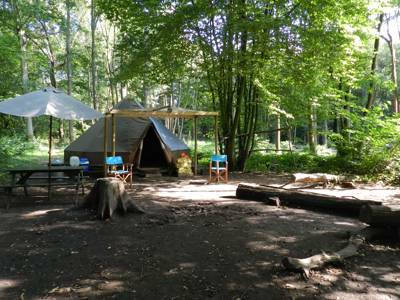 There are no hidden costs we simply charge £12 per adult per night, children from 5-16 years old £2per night and children under 5 years old are free. 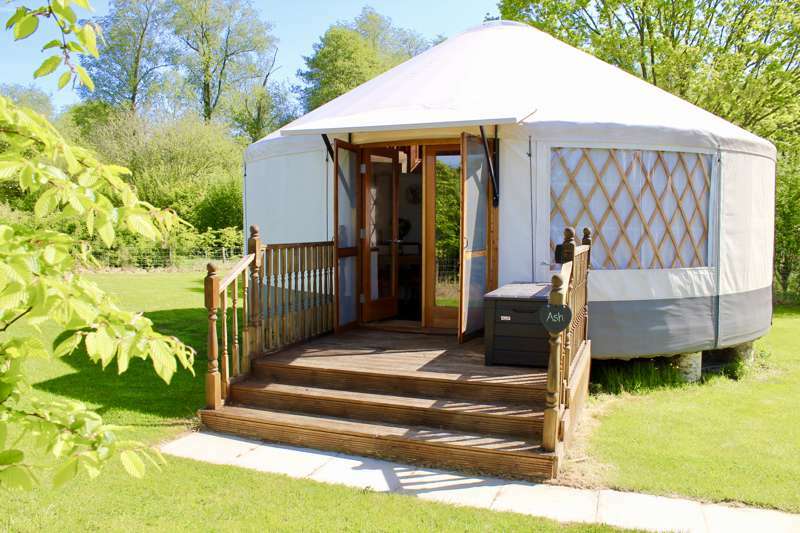 £80 per night for the Shepherds Hut - min 2 night stay. Epic views of the South Downs, and a walker’s paradise, hidden sweetly on the South Downs Way.